Sihomara L. Graves focuses her practice primarily in the areas of general and commercial litigation, bankruptcy and estate planning. Sihomara earned her Bachelor of Science from the University of Nevada, Reno and went on to receive her Juris Doctor in 2013 from the William S. Boyd School of Law in Las Vegas. 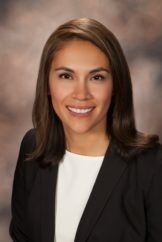 While in law school, Sihomara served as a judicial extern to the Honorable Jennifer Togliatti, Eighth Judicial District Court for the District of Nevada where she was able to help in both complex civil litigation matters, including construction defect and products liability cases, as well as felony criminal cases. Prior to joining Kaempfer Crowell, Sihomara handled a high volume of immigration matters in front of both District Court and Immigration Court as a staff attorney for the Legal Aid Center of Southern Nevada, and more recently as a solo practitioner.